San Juan Capistrano is part of the Capistrano Unified School District. What that means is, if you live within a specific area near San Juan Capistrano, the schools you attend will be Capistrano Unified School District schools. 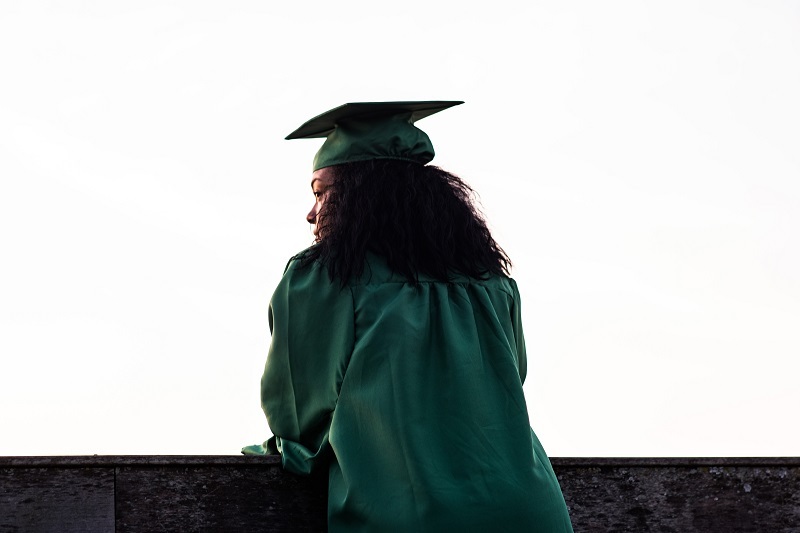 The high schools that make up the Capistrano Unified School District include Aliso Niguel High, Capistrano Valley High, Dana Hills High, San Clemente High, San Juan Hills High, and Tesoro High. 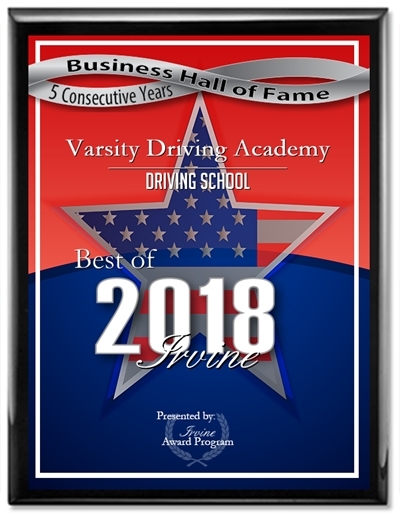 If you live in San Juan Capistrano, Ladera Ranch, Laguna Niguel, Dana Point, San Clemente and parts of Mission Viejo, you will attend one of the high schools in the San Juan Capistrano High School attendance options. 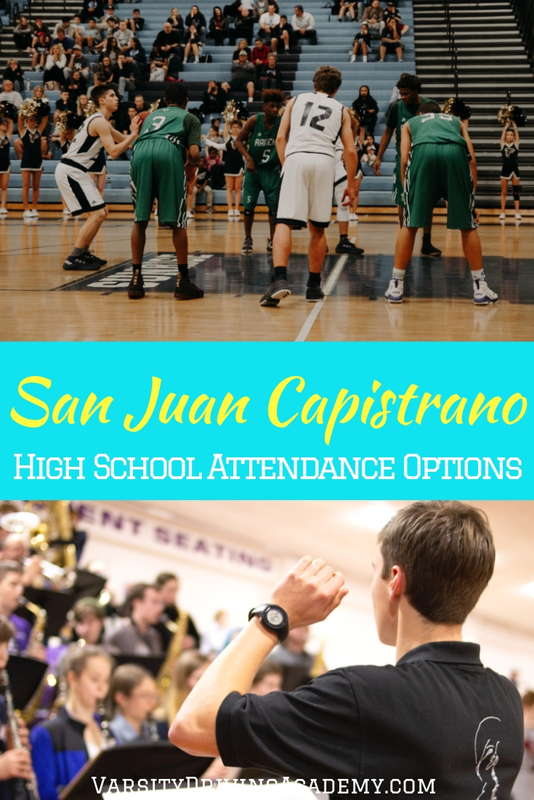 You can easily find out which high school your address allows you to attend with the San Juan Capistrano High School attendance options. Aliso Niguel High takes care of mostly students from Aliso Viejo but those from surrounding cities may attend. Currently, there are over 250,000 residents within this school’s boundaries. Four grades are taught here, much like most US high schools, grade 9, 10, 11, and 12. The southernmost corner of the boundary can be found down at the intersection of Niguel Road and Crown Valley Parkway. The Northernmost corner of the boundary can be found just short of the intersection of El Toro Road and Calle Sonora. You can see the map above which outlines the boundary in more detail. The namesake school for the Capistrano Unified School District is Capistrano Valley High. 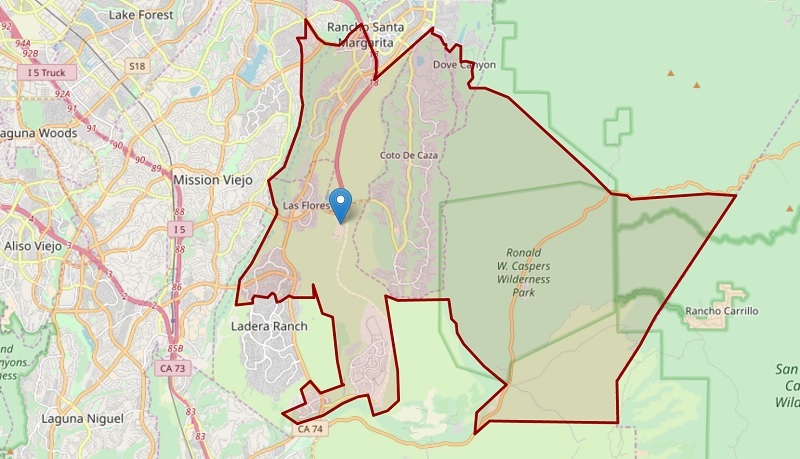 Almost in the center of the school district, the boundaries of Capistrano Valley High make the shape of a horse leg. 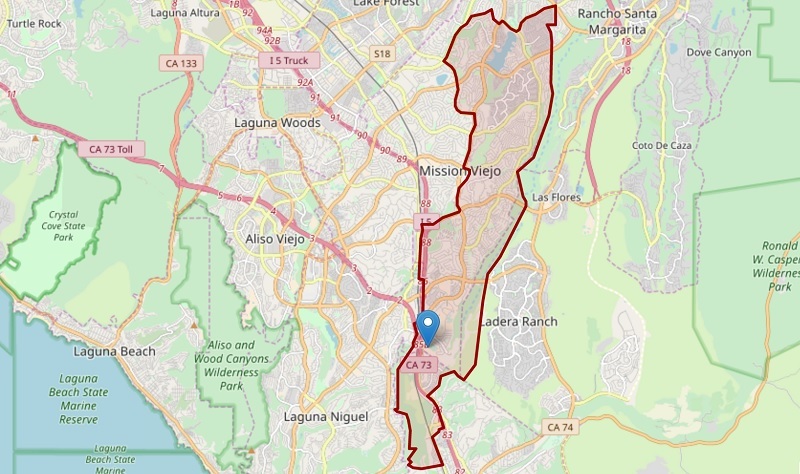 There are actually no direct cities in the middle of this boundary as you can see, it handles the borders of Mission Viejo and Las Flores, Rancho Santa Margarita, and Ladera Ranch. The southern hoof or tip takes care of parts of Laguna Niguel students as well. While the area of the boundary appears to be smaller, it also serves over 250,000 residents. Some school boundaries overlap, allowing families to choose between multiple different high schools. 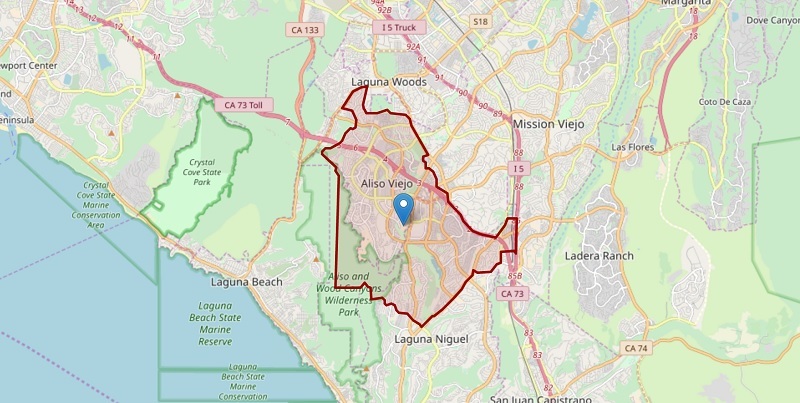 Dana Hills High School boundaries overlap somewhat with Aliso Niguel High School. 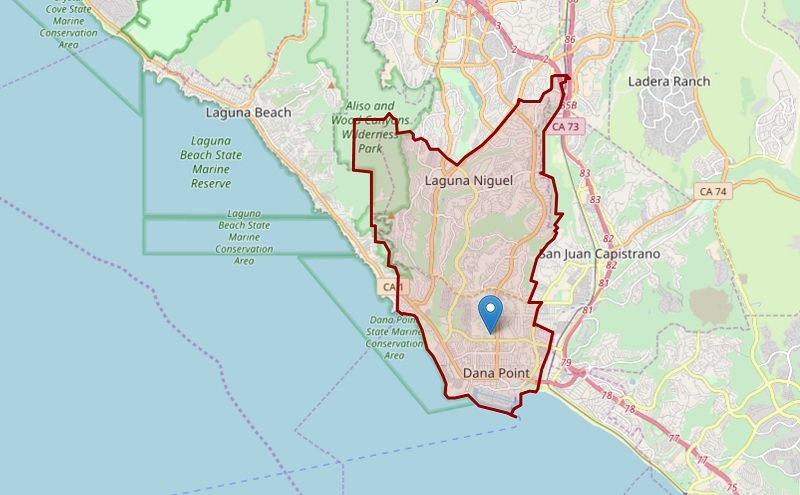 The cities included in this boundary are Laguna Niguel and Dana Point as well as small parts of San Juan Capistrano. Once again, there are over 250,000 residents within this boundary and grades 9 through 12 may attend. The northernmost corner of this boundary can be found at the Caltrain station for Laguna Niguel/Mission Viejo. The southernmost border of this boundary can be found at Dana Point Harbor. San Clemente High School takes the Capistrano Valley Unified School District even further south into San Clemente. 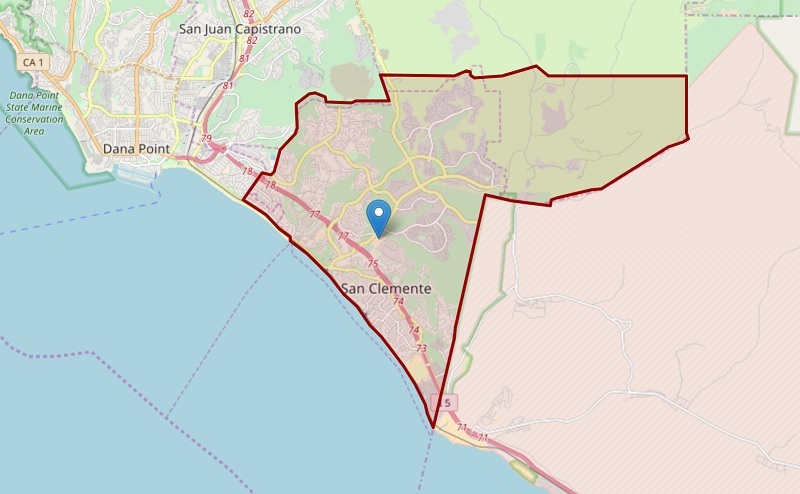 San Clemente is the main city that is served by San Clemente High and there aren’t any other cities within this boundary. Essentially, if you live in San Clemente, you will most likely be attending San Clemente High School. The southernmost tip of the boundary can be found at Cotton’s Point. The boundary follows the Marine Corps Base Camp Pendleton into the hills near the San Mateo Wilderness Canyon. San Juan Hills High School may get its name from its boundaries as much of it covers the hills near Ladera Ranch. 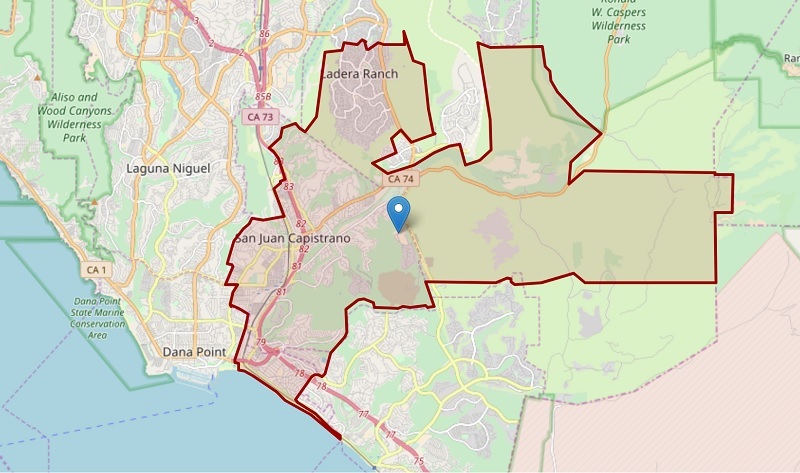 There are two cities or communities that are served by San Juan Hills High, Ladera Ranch, and San Juan Capistrano. That means that this school is yet another option for both communities. The northernmost border cuts right through Ladera Ranch at Roanoke Drive. The southernmost boundary can be found down at the end of Beach Road near San Clemente. Yet another school that serves more than 250,000 residences and teaches grades 9 through 12. While it seems to be the largest boundary, it serves fewer students than most as much of it is into the hills. Tesoro High School has an interesting boundary as it covers more wilderness park than suburbs. The cities served by this high school include Las Flores, Ladera Ranch, Rancho Santa Margarita, and Coto De Caza. This means that Ladera Ranch and Rancho Santa Margarita both have yet another option for students. The southernmost tip of this boundary can be found at Reata Road near the Ortega Highway. The northernmost tip cuts right into Rancho Santa Margarita, though only just.